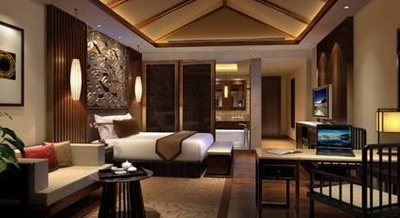 Anantara Emei Resort & Spa is the first and only luxury international hotel in this part of south west China. Opening a window to China’s ethereal beauty and cultural mystique, the new 150-room resort resides at the foot of majestic Emei Mountain in Sichuan Province. Mount Emei is a mecca for pilgrims, nature and culture buffs. Translating as “lofty”, this majestic mountain is the highest of China’s Four Sacred Buddhist Mountains and a UNESCO World Heritage Site of legendary sanctuaries, ancient trees, waterfalls, streams and springs. 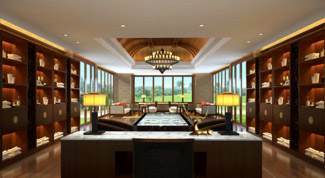 Anantara Emei offers 90 guest rooms, 40 pavilions and 20 villas of luxurious oriental design, a host of signature comforts, and lush garden or tranquil lake views. Guests desiring the pinnacle of indulgence can choose villas with a private pavilion, along with a Jacuzzi bath or swimming pool. Dining options in the resort include Jinyi serving regional recipes from Sichuan and Guangdong; Cultivar, a stylish all day dining restaurant offering Chinese and European cuisines; the lobby lounge, Xueji, the ideal meeting place for seasonal refreshments and light bites which opens onto a terrace with a scenic view; and Yunshang Wine Cellar serving a fine selection of wines, gourmet snacks, spirits and cigars, as well as special degustation menus. The resort’s pool is home to a swim-up bar and cosy salas. For guests seeking personalised and differentiated dining experiences, Anantara’s signature Dining by Design can always find their needs and wants perfectly fulfilled. Facilities at the resort include a tropical outdoor pool and Jacuzzi, a fitness centre, table tennis and outdoor tennis courts, along with yoga and Tai Chi classes. In addition to a children’s pool, a children’s club and games room ensure that younger guests are happily entertained with arts, crafts and games. Visitors to the area can either hike or take the cable car up to the summit of Mount Emei. They can also see the world’s highest golden Buddha statue, whose 48 metre height represents the 48 wishes of Amitable Buddha. The area is also home to hot springs and those visiting in the autumn can enjoy the spectacle of red leaves from a series of excellent vantage points. Extending the natural attractions, Exiu Lake is two kilometres away and provides a picturesque escape for walking, jogging and fishing. Just one and a half hours drive from the resort, China’s iconic giant pandas can be found living in their natural habitat in the Chengdu Plain and Chengdu itself immerses guests in a rich heritage dating back more than 2,300 years.